There are many different storytelling apps available for iPads that support literacy goals and encourage creative storytelling. Here are a few that I think are especially good for students to create and publish their own ebooks. MyStory is no longer a free app, but I think it's worth the $3.99 price. Unlike similar book creation apps, MyStory works really well in classrooms with shared iPads because teachers can easily set up multiple students as "authors." Each author can create and save multiple books, which can be shared directly in the MyStory app, opened on the iPad in iBooks, or with a hyperlink. Check out my MyStory here. StoryPatch is a free app that guides students to build a story that includes storytelling elements such as theme, plot, and scene. When students use StoryPatch to create a story, they are given two initial choices: write a story without any help, or choose a theme to build a story with help. If they choose to get help, the app walks them through the storytelling process, giving choices for the type of story and plot developments. The script is provided, but students can freely edit any of the text, and add images. StoryPatch would be a great choice for teaching students about the elements of storytelling, and for students who have "writer's block," and can benefit from the prompts and pre-written storylines. Unlike the other storytelling apps reviewed in this post, StoryPatch does not allow audio recording. Completed stories can be read through the StoryPatch app, or shared as pdf files. 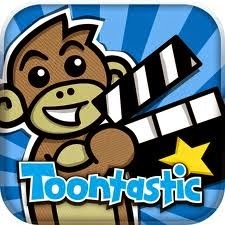 Toontastic is another great app for teaching students about the storytelling process. As they create their animated story, students are guided by the "Story Arc," which gives voice prompts for the elements of good storytelling: Setup, Conflict, Challenge, Climax, and Resolution. Students can draw their own scenes, choose from a library of scenes, or access the iPad camera roll. They also have a limited selection of characters and "toys." Instead of writing their story, students record their voices. What makes this app really compelling is the ability to animate the characters. While recording audio, students can use their fingers to make their characters move. Another plus is that Toontastic stories can be published on the ToonTube website, which provides a safe, kid-friendly forum for sharing their work. The basic app is free; The $14.99 version will unlock the "All Access Pass" that provides 200 characters, settings, and other add-ons. 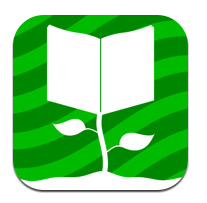 BookCreator has quickly become the most popular eBook app at Blanchard Memorial School. Students and teachers extol its benefits, primarily because it is easy to use and produces professional-quality books that can be read on the iPad, and exported as a PDF or an ePub for viewing in iBooks. BookCreator projects can incorporate videos, photos and other images from the iPad Camera Roll, audio recordings, and text. Students love reading their published books in iBooks, where they can select their book from the shelf and turn pages with the swipe of a finger. This video demonstrates just how easy it is to use BookCreator. It can be used for any subject and is ideal for students of all ages. Even our preschool students have created and published with BookCreator! BookCreator is available for $4.99 in the Apps store, with a discount for volume purchases. Book Creator for the iPad from Book Creator on Vimeo.